Rubber Tarp Straps are made for retaining tarp covers on flatbed trailers. 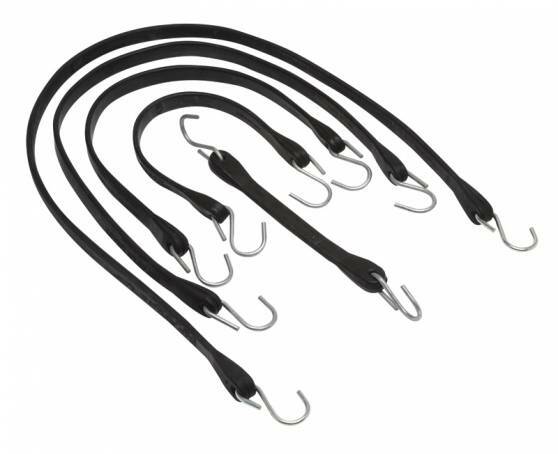 Rubber tarp straps are imported and made of natural rubber. These straps are designed to hold large covers in place. Rubber Tarp Straps are available in different lengths of 9”, 15”, 21”, 31”and 41”.